Every year in the United States, more than two million people are injured in car accidents. Car accidents are also responsible for hundreds of millions of dollars in lost wages and property damage. Charleston-based attorney Richard Hricik understands that being involved in a car accident can place major financial burdens on individuals and families. He has helped numerous individuals injured in car accidents recover compensation for their injuries and losses. Richard is well-versed in the process of building a case and negotiating with insurance companies to ensure a fair settlement for his clients. He also has significant trial experience and will make sure your rights are protected in court if the other side is unwilling to come to a reasonable agreement. Common emergency room procedures for injuries caused by car accidents included the stitches, traction, splints and other wound care, CT scans, chest X-rays, treatment of a fracture or dislocation of a lower extremity, and respiratory intubation and mechanical ventilation. Expensive imaging services are ordered in approximately 70% of traffic-related emergency room visits. In addition, more than 40% of people treated for such injuries arrive by ambulance. Transportation by ambulance is nearly three times as common for injuries caused by car accidents as for other types of injuries. 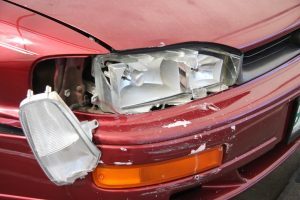 Outcomes for claims related to car accidents vary greatly. One of the factors related to the success of claims is the skill level, experience, and diligence of the lawyer you hire to represent you. Richard Hricik has been representing individuals injured in car accidents for 15 years. When Richard agrees to represent a person injured in a car accident, he investigates the facts and prepares a demand for the insurance company as thoroughly as if he were preparing a case for trial. This allows you to obtain a fair settlement that represents the true value of your claim. Contact the Law Offices of Richard A. Hricik at the number above or using the contact form on this page for a free consultation. You can read more about what to do following a car accident here.